I will be adding a portfolio of these photos on my primary artist’s website by early Spring so until then, the best place to see work from Divergence is by following me on Instagram. Check out my January 22nd post to read the full project statement to get a better understanding of my working process. I am pleased to announce that I am part of a group exhibit, Environmental Empathies, at the Callahan Center at St. Francis College in Brooklyn, NY I am exhibiting work from two series: The Witness Tree and Elder Activists, a new series created with writer/ activist Betsy Andrews. We hope to create a website for the Elders project later this Spring/Summer, but if you want a sneak-preview, see the photo above and come visit the exhibit! 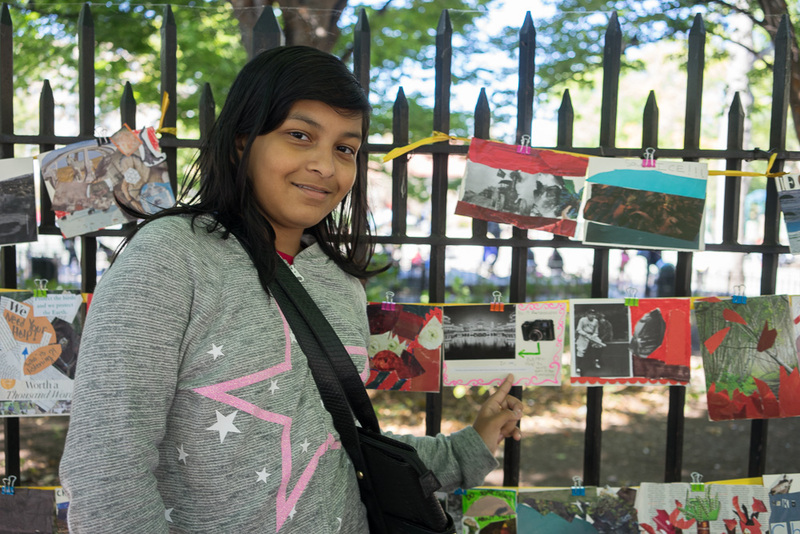 During the opening, I hosted a “Postcards for Politicians” workshop which had participants from ages 7 to 70! Curated by Katherine Gressel, the exhibit is up until March 28th. Gallery hours are 8 am – 8pm daily. The Gallery/College is located at 180 Remsen Street in downtown Brooklyn, NY. 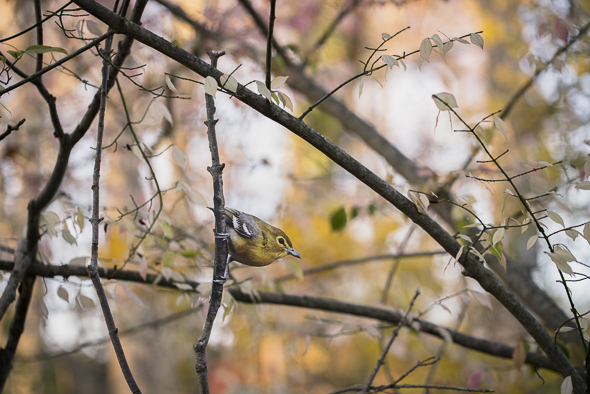 And in the Windy City – I will have work from the Divergence of Birds series in the exhibit Context 2019 at Filter Photo Gallery. I won’t be able to make the opening, but if you live in Chicago – please go check it out from March 27 – April 27th. 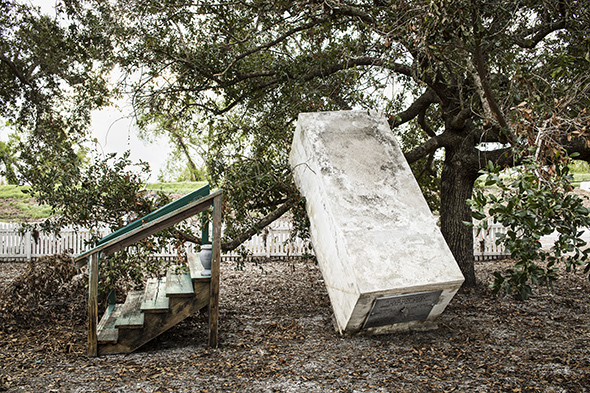 Across the pond, this Witness Tree photo (above) taken in New Orleans after Hurricane Isaac of a burial vault and a set of stairs displaced by the flood waters, will be in the exhibit Stranger than Fiction this May at Loosen Gallery in Rome, Italy. I have been accepted to three artist residencies this coming year where I will be able to focus more deeply on creating work for Divergence of Birds. Caldera – in Sisters, Oregon – where I will also be doing some climate programming with local teenagers during my residency. While in the Pacific Northwest, I will also be attending the Photolucida Portfolio Reviews in Portland in late April. Hopefully I will see some of you out there! 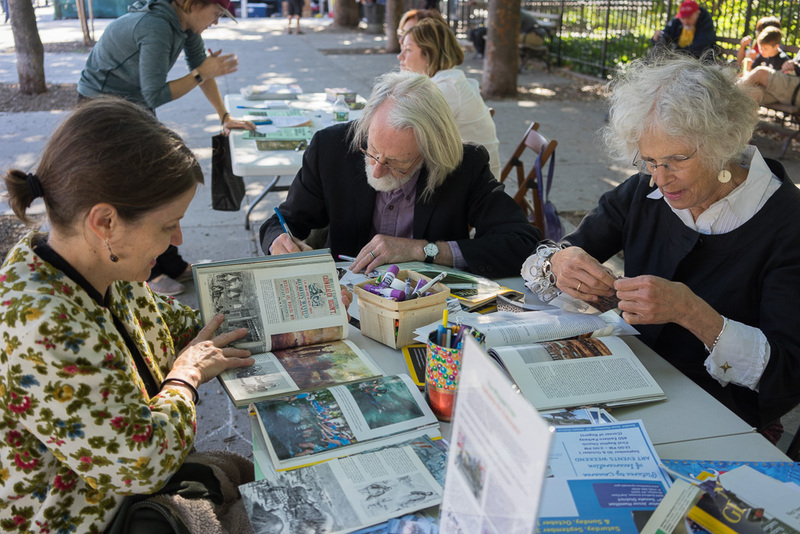 Below is a recap of some of my 2018 Witness Tree exhibitions, events and activities. Thanks to all who attended or participated. To find out about upcoming events please go to the Contact page to add your name to my mailing list. I usually send out quarterly newsletters with an occasional update regarding something special. In September, a selection of my Witness Tree project was exhibited in the International Festival of Photography in the ancient walled city of Pingyao in Shanxi Province. 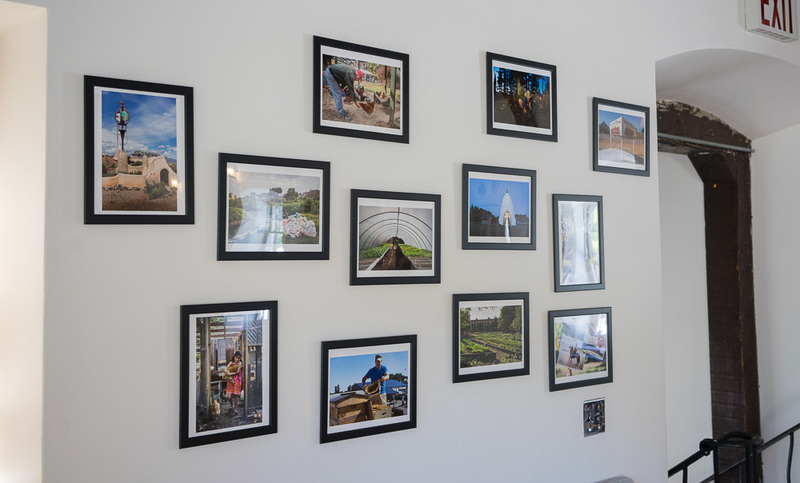 Curated by Susan Dooley, the exhibit, A Focus on Climate also included the work of seven other talented photographers: Alex Heilner, Mark Klett & Byron Wolfe, Judy Natale, Jennifer Little, Nadia Sablin, and Julie Dermansky. 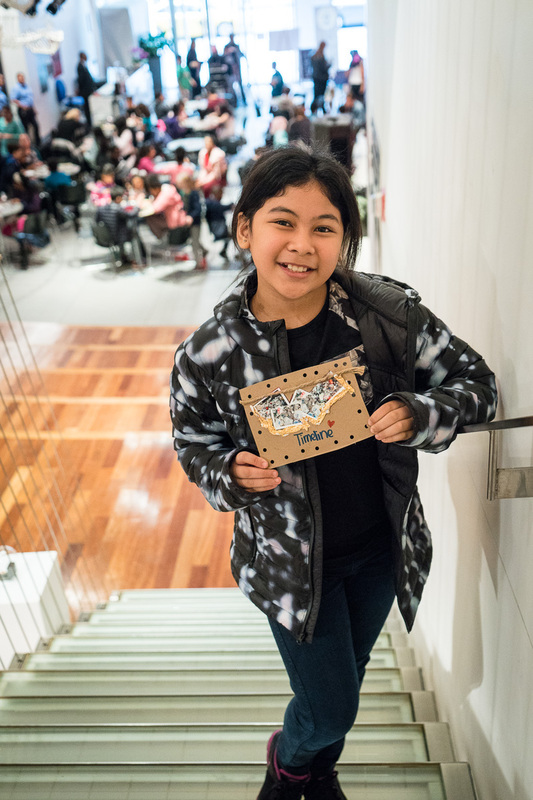 With over 200 exhibits, numerous artist’s talks, an educator’s forum, and lots of pomp and pageantry at the opening and awards ceremonies – it was an exhilarating and exhausting week! Pingyao, alone, was well-worth the visit. A UNESCO World Heritage Site, it is also home to the most amazing small-batch vinegars – the scents of which waft through its tiny cobble-stoned streets. The event was well-attended and I had many great conversations about climate change with the people who visited my little “alternative” studio and/or took the time to make some postcards for politicians at the station I set up. 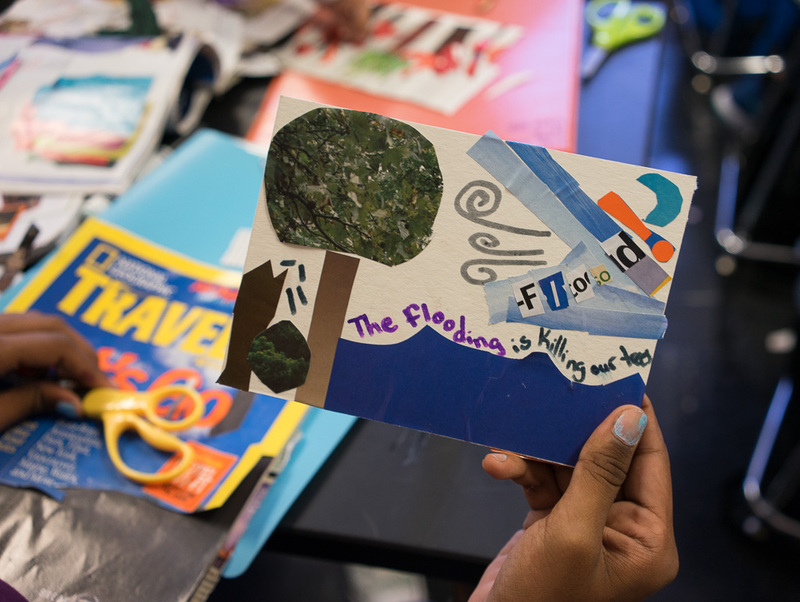 I am happy to report that I received letters from several of the politicians we sent our hand-crafted climate postcards to. Democracy in Action! In June, I was lucky to get to spend a week at an historic Dune Shack at the Cape Cod National Seashore. 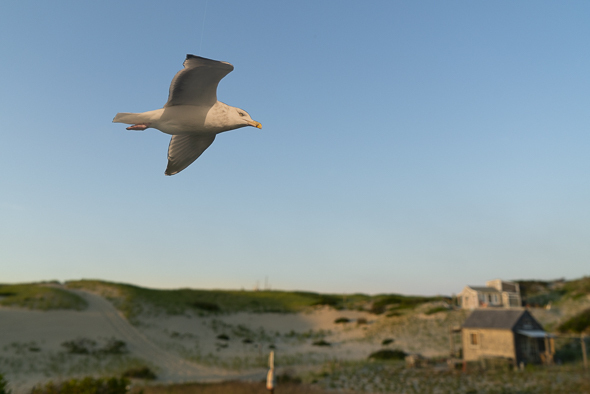 In addition to getting to see large groups of seals, it was an idyllic and unique location to get to photograph some of the “birds” for my Divergence project including this Great Black-backed Gull above. 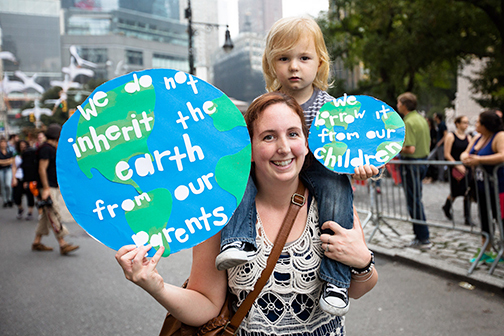 The above photograph I took of a mother and child at the 2014 People’s Climate March in NYC is part of an exhibit at the Take a Stand Center at the Illinois Holocaust Museum in Skokie, Illinois. I am glad I got a chance to visit the exhibit and tour the rest of the museum last summer. It’s a very impressive museum and is just a short distance from Chicago, so I highly recommend a visit if you are in the vicinity. Tree in the Sea on the cover of Lapham’s Quarterly! 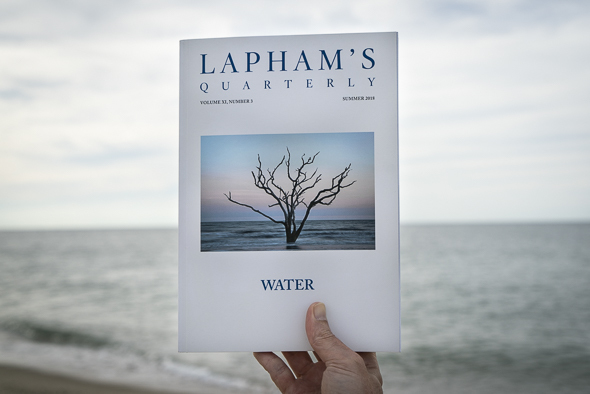 I am very proud to have this Witness Tree photo grace the cover of the Summer issue of Lapham’s Quarterly – a fine literary journal which you should pick up if you haven’t! 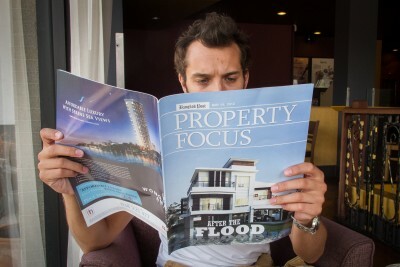 Each issue is based on a different theme. 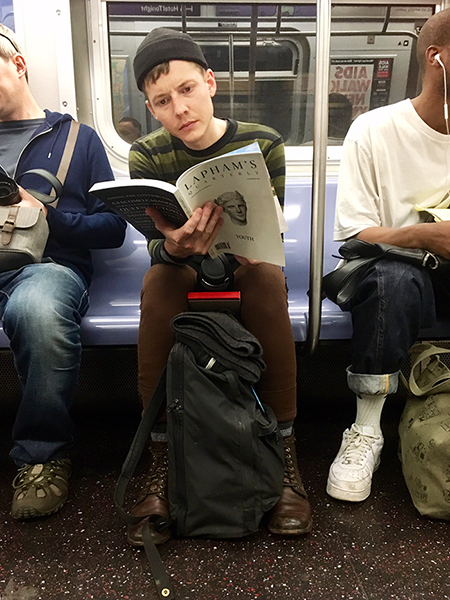 My photo was chosen for the “Water” issue and it is the first time they chose to use an entire photographic image rather than just an image of an object to represent the theme – IE see below for a picture I snapped for Lewis Lapham and staff on the NYC subway of a youth reading their Youth issue. The past year has been eventful for The Witness Tree with giving various presentations and workshops. Below I share highlights from some of these events. If you know of any schools or community organizations that would like me to give a presentation, host an exhibition or collaborate on future climate events, please let me know. Just send me a note via the CONTACT page. 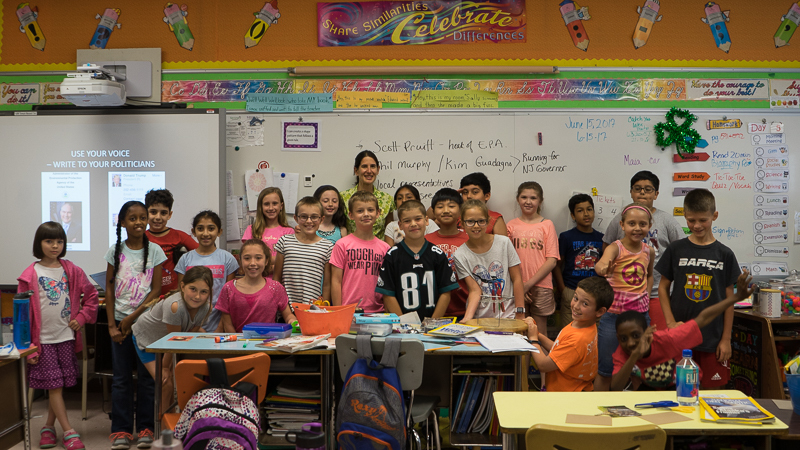 These two photos below are from a visit to a 4th grade class in New Jersey in June 2017- where I gave a presentation and then held a “Postcard for Politicians” workshop. 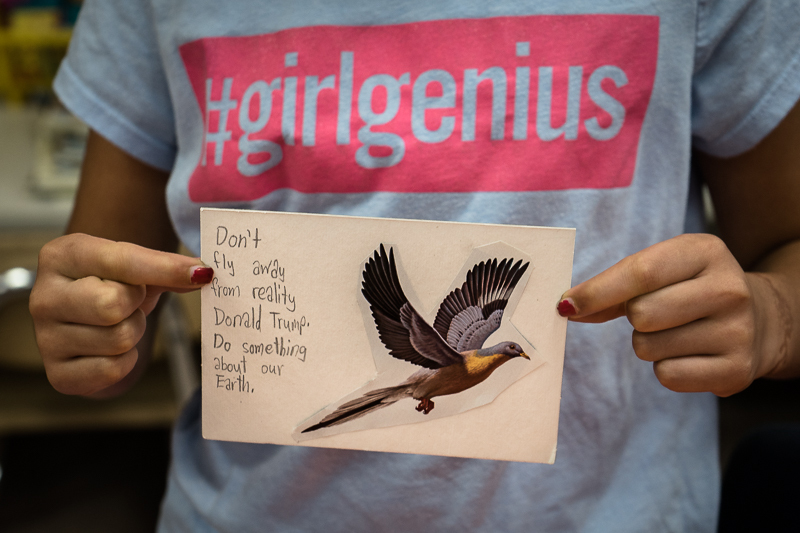 I sent the resulting postcards to a variety of legislators – both local and national – and received a letter from Scott Pruitt’s EPA office letting me know that he, too, is “concerned” about the environment. 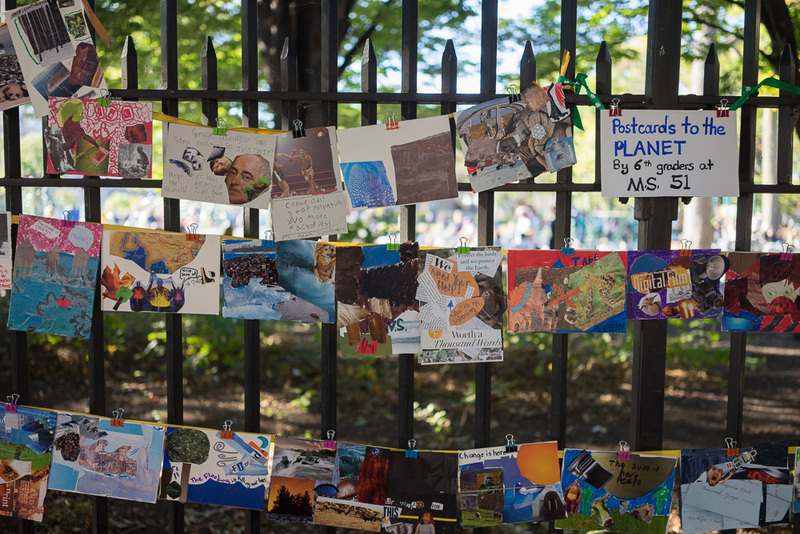 The next photos are from a presentation and “Postcards for the Planet” workshop I did with 6th graders in Brooklyn in September. 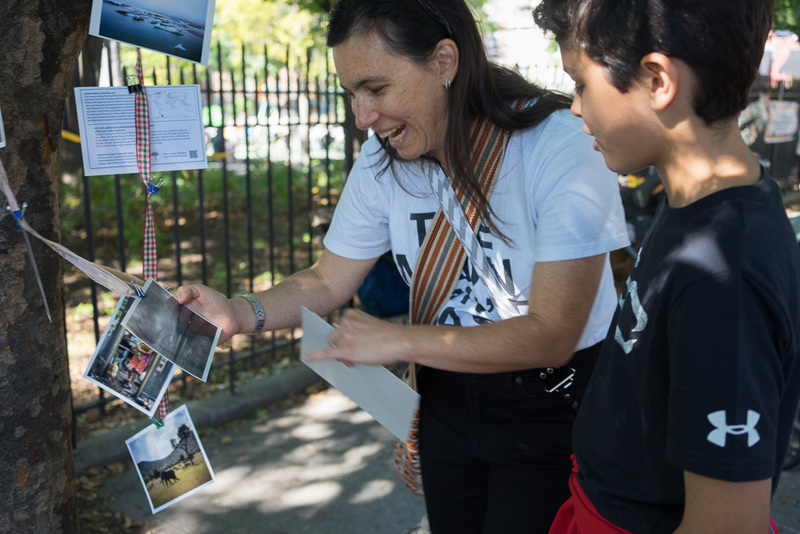 We displayed the pictures in a nearby park for an afternoon to generate awareness and discussion around climate concerns. Some of the students even brought their parents by to share their concerns for the environment. In October, I held a Postcards for Politicians event in conjunction with the exhibit “Being Well: In Search of Utopia” at the Old Stone House Museum. I was exhibiting photographs from my “Solutions” portfolio of The Witness Tree (see below). 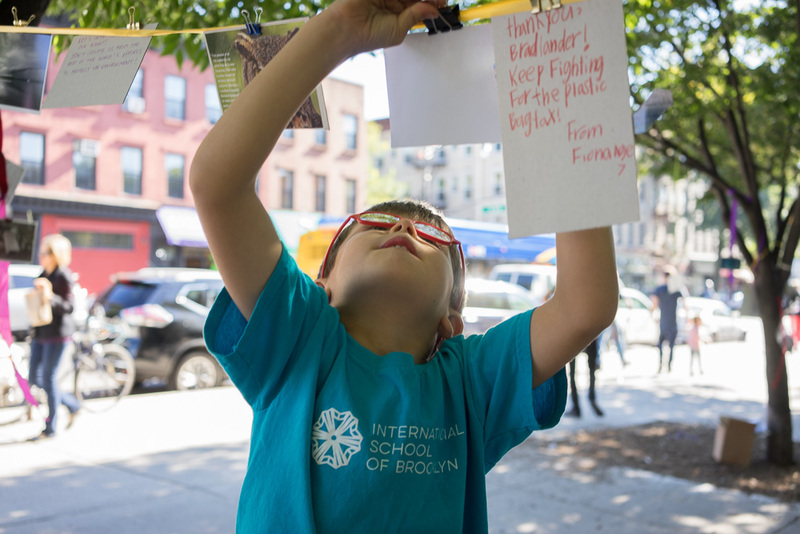 We had participants of all ages join us for the workshop on a beautiful Sunday afternoon! 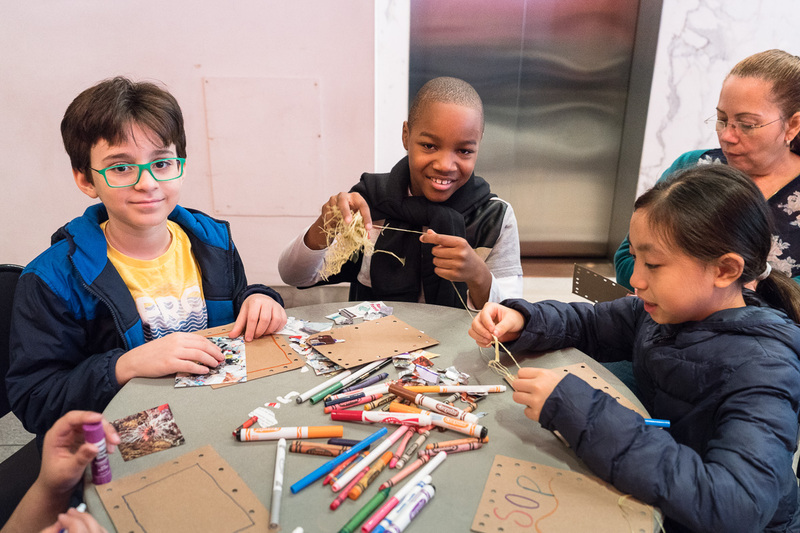 In November, I organized three days of workshops and events around the theme of Waste as part of the Human Impacts Institute’s Creative Climate Awards programming. 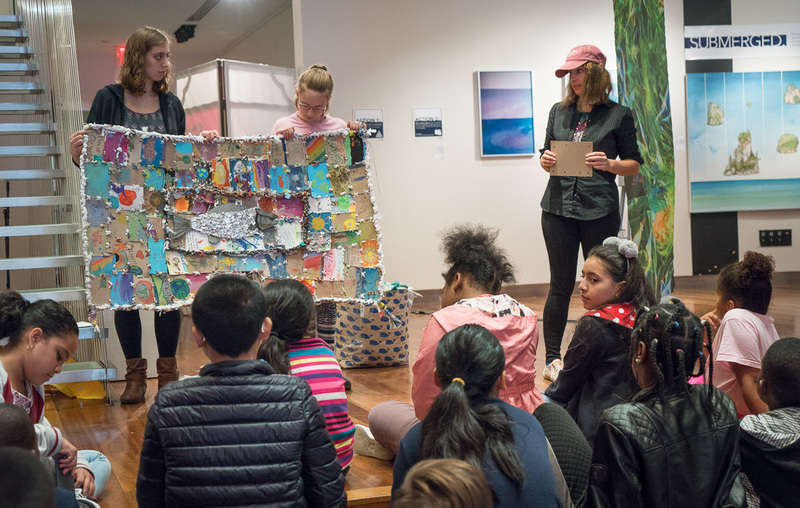 One of the highlights was getting to collaborate with Danielle Baudrand in creating one of her Zero Waste Climate Quilts with 5th graders from a middle school in Manhattan. 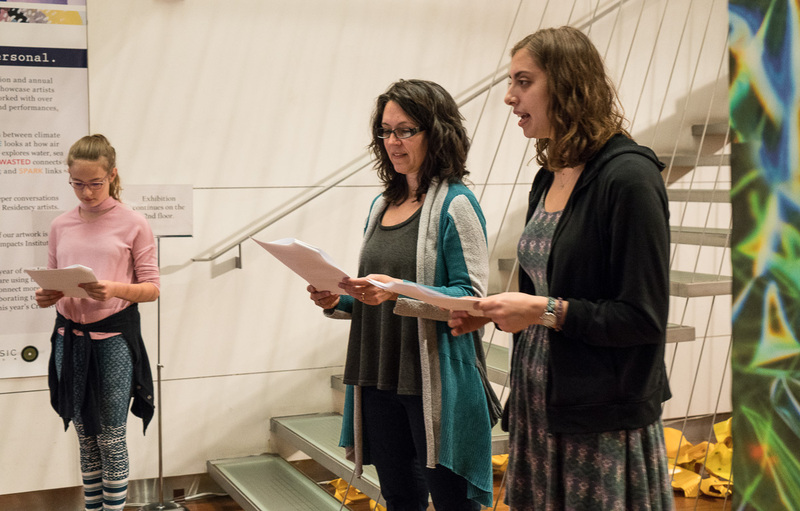 The event started with a short play read by Chantel Bilodeau and Julia Levine (first photo below) and ended with the quilt (made up of dozens of small “panels” made by the students) – being added to the Climate Awards exhibit. I am very excited to be doing some programming in early November with The Human Impacts Institute. Please join me for these two exciting FREE events on the issue of WASTE. A curated evening led by Impact Residency Artist Carolyn Monastra around the central theme Wasted. 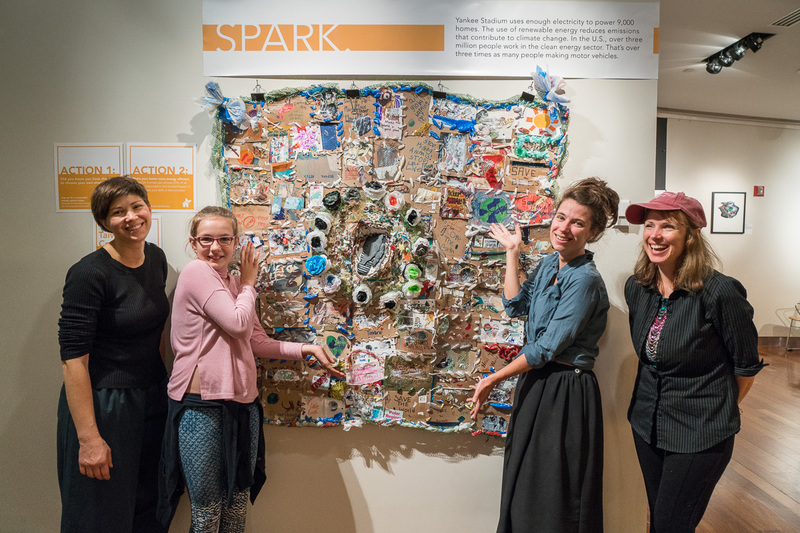 Presentations by artists Susan Allbert and Niki Lederer, whose work focuses on waste, will give presentations with a follow-up discussion about what we all can do about waste. 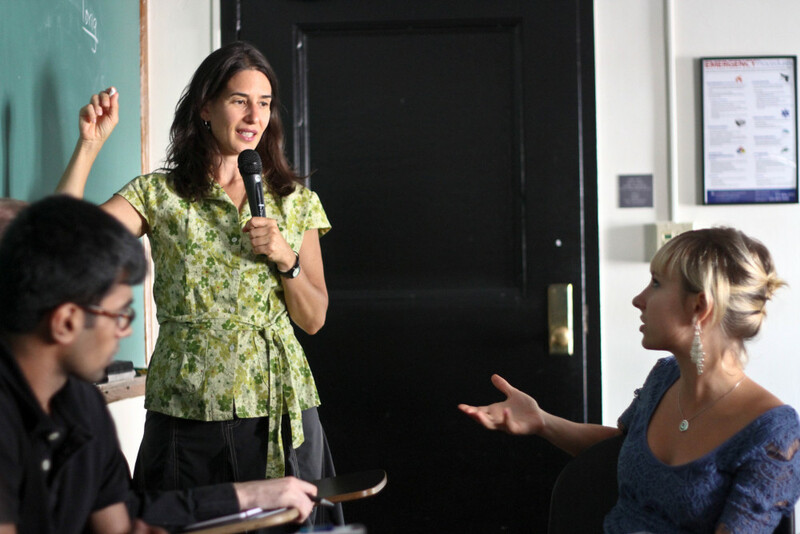 The evening will include a brief introduction to The Climate Reality Project by Simone Rothman. Click HERE to register for this Free event! A donation is appreciated, but not required to secure a seat. Bring your lunch and listen in as panelists share their personal journeys with the issue of waste. We will discuss what actions we, as concerned citizens, can take to reduce our own personal waste as well as society’s collective waste-stream. Witness Tree Blog Update: I am archiving my Witness Tree blog (now located HERE) and, instead of keeping a blog, I will use this News section to post information about Witness Tree related exhibits and events. New Feature: I am starting a new bi-monthly feature on this News page entitled: Good News / Bad News, where I will highlight a few positive climate stories, articles or photos as well as some articles about climate and environmental concerns. If you want to receive the Good and Bad News as well as my quarterly newsletter – sign up via my Contact Page. For you animal lovers out there, The Atlantic and CNN ran stories about people rescuing and caring for Harvey-impacted pets – their own and others. And in Florida, residents came together to save some local manatees and stranded dolphins. Climate change is creating “The Perfect Storm” conditions for hurricanes like Harvey as outlined in this article by scientist Dr. Michael E. Mann, professor at Penn State. And despite the strong scientific evidence that as the planet continues to warm, we will likely experience more intense hurricanes with higher storm surges, there are some in the current administration who would rather not talk about it, let alone acknowledge the connection to climate change: click HERE to read the article from Monday’s New York Times. October 14th marks the opening of a solo exhibit of The Witness Tree at The Bottleworks Gallery in Johnstown, PA. If you are in the area, please join me for an artist’s talk and then the opening reception (12 – 3pm). The exhibit will run until Nov. 17th. Mid-October through Mid-November, I will be participating in a collaborative climate residency sponsored by the wonderful Human Impacts Institute in midtown Manhattan. I will be programming 3 days of the programming (Nov 1 -3rd) with the theme Wasted. Stay tuned for more details and a list of other artists and related events. In April, artist and activist Melissa Fleming published an interview with me on her blog: The Weather Gamut. I’d like to thank Melissa for asking some probing questions that reminded me of the reasons why I do what I do and why I need to do it even more now. An artist’s proof of a Witness Tree book I plan to publish in 2018 was selected to be part of the INFOCUS Juried Exhibition of Self-Published Books at The Phoenix Museum of Art. The exhibit was up from December 2016 – April 2017. January 2017 – I had work in a group exhibit focusing on car culture in the US at Susan Eley Fine Art, New York City. I had work in the Small Works Salon – a group exhibit at Station Independent Projects. in New York City in December. Work from the Witness Tree project was included in an exhibit about climate change that was installed in Chapultepec Park for the 2016 C40 Mayors Summit in Mexico City in November 2016 – February 2017. The exhibit was curated by the Lucie Foundation. For this year’s Climate Week, I was part of a panel discussion titled: “Climate Change: Art, Design and Activism” at Civic Hall on September 22nd. I was joined by other Climate Reality Leaders: Tara DePorte, Harriet Shugarman, Simone Rothman and Melissa Fleming. It was a wonderful event with a very engaged audience. I met so many interesting activists and concerned citizens. Thanks to those who attended! At the Society of Photographic Education (SPE) Northeast Conference (Oct 28-29th in NYC) I gave a presentation about a recent COIL (Collaborative Online International Learning) course that I taught last Spring with professor Manuela Paterna Patrucco and her class at Universidad de La Salle in Mexico City. On February 9, 2016, I gave a presentation entitled, The Artist as Activist at Nassau Community College as part of their Art Forum series. I was pleased to have my work selected by curator Katherine Gressel to be featured on the website: L’oeil de la Photographie. In April I attended the Blue Earth Alliance’s Collaborations for Cause conference in Seattle. 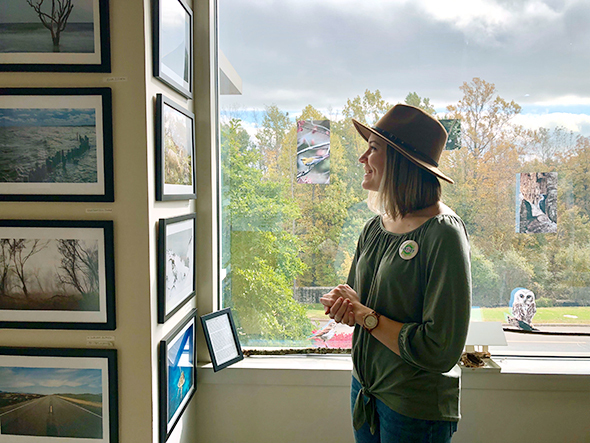 The two-day event was packed with engaging presentations by many talented photographers including Benjamin Drummond + Sara Joy Steele, Kristie McLean, Greg Constantine and many others. It was exciting to be in the company of so many other like-minded photographers, environmentalists, and concerned citizens. I look forward to collaborating with some of them on future projects. Thanks to the PhotoWings organization you can watch some of the presentations and see interviews with some of the speakers. In March I went to Las Vegas for the annual Society of Photographic Education national conference. While there I took a side trip to see the Hoover Dam and see what the state of Lake Mead which has been deeply affected by several years of drought. Even though there had been heavy snows in the Sierras this past winter – the water level was still about 30 feet below its normal levels. In late Autumn, I was honored to be part of a podcast discussion with photographers Ed Kashi and Greg Kahn entitled, From Photojournalism to Fine Art, Three Photographers Document Climate Change. The discussion was moderated by Allan Weitz and produced by John Harris for the B&H Photo Podcast series. Please take a listen when you have a chance! From November 30 – December 5, 2015, I was in Paris for events and workshops being held in conjunction with the COP21 – United Nations Global Climate change talks. You can read more about my experiences there on my Witness Tree blog. 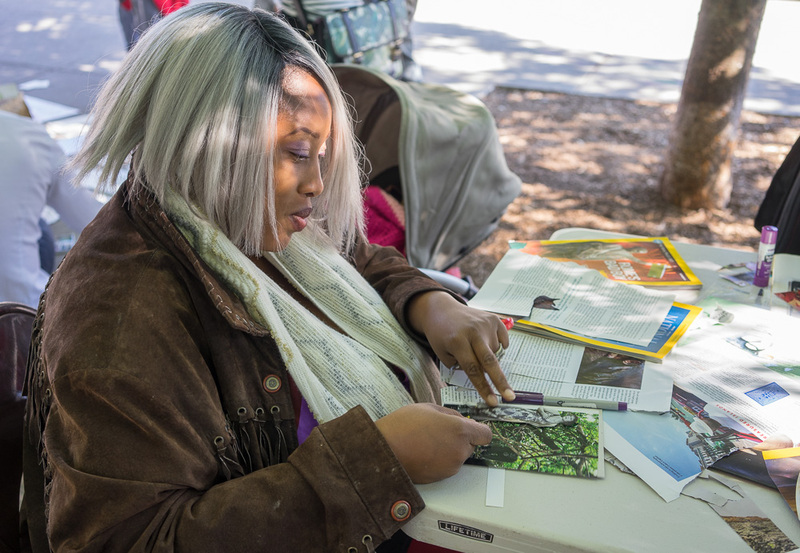 From November 5, 2015 – January 10, 2016, work from The Witness Tree will be included in the exhibit: Evidence and Advocacy at the Photographic Resource Center at Boston University. 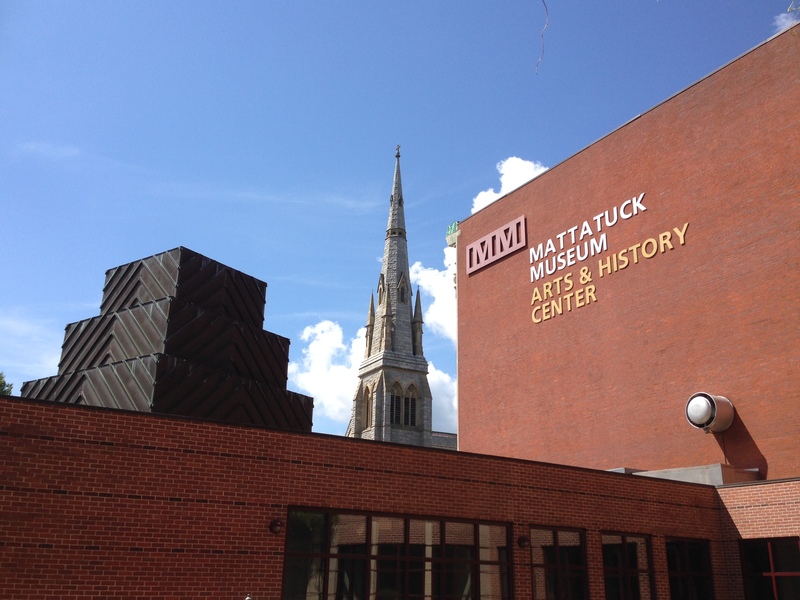 On November 8, 2015, I gave a Witness Tree presentation and workshop at the Mattatuck Museum in Waterbury, Connecticut. 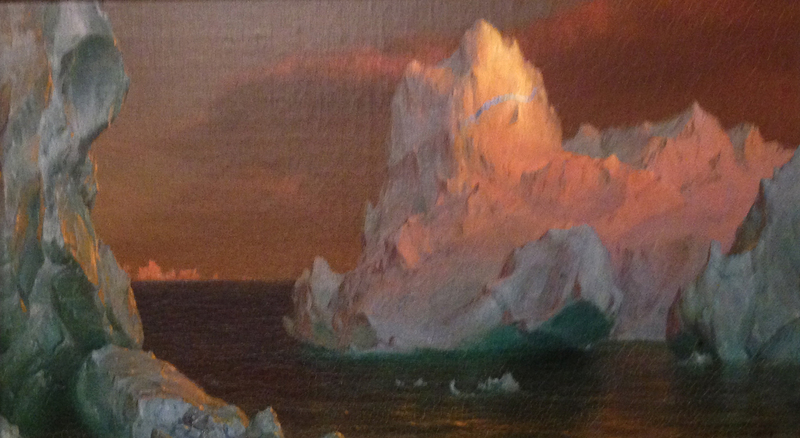 When I first visited the Mattatuck this summer, I was very excited to see this little Frederick Church painting of icebergs since I was motivated to begin The Witness Tree after observing the icebergs that calved from melting glaciers in Iceland. 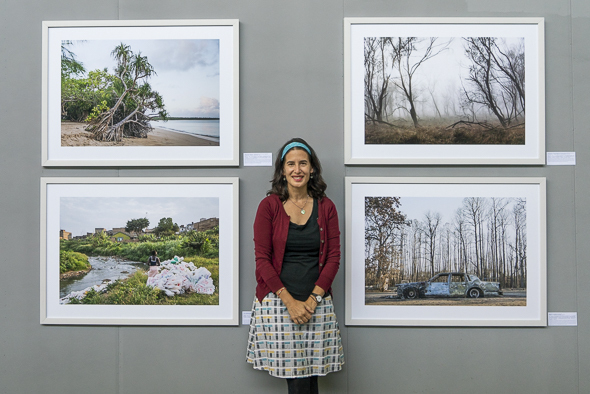 In September, prints from The Witness Tree were exhibited at The International Permaculture Conference in London. I was pleased to be able to attend the conference and hear from and meet so many engaged individuals who are working to make this world a more sustainable place through permaculture ideas and practices. 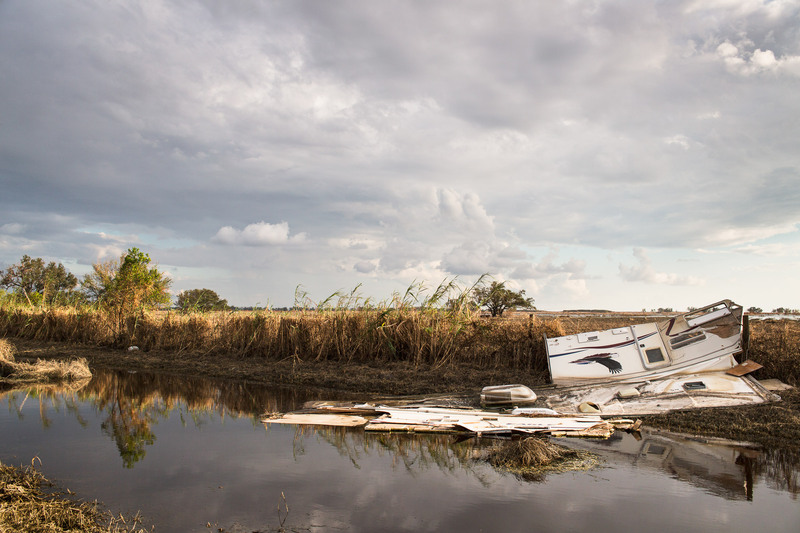 In August, I learned I was a semi-finalist for the Dorothea Lange-Paul Taylor Prize. I feel very honored to have been among such good company with many other outstanding projects. Congratulations to Michel Huneault, for his prize-winning story Post Mégantic. Over the summer, several pieces from The Witness Tree were included in Caught on Film, an exhibit of work by six female photographers at Susan Eley Fine Art in New York City. As part of Earth Day celebrations in April, 11 Witness Tree photos were in a 3-person exhibit entitled Our Earth, Our World at The Abrazo Inferno Gallery in New York City. 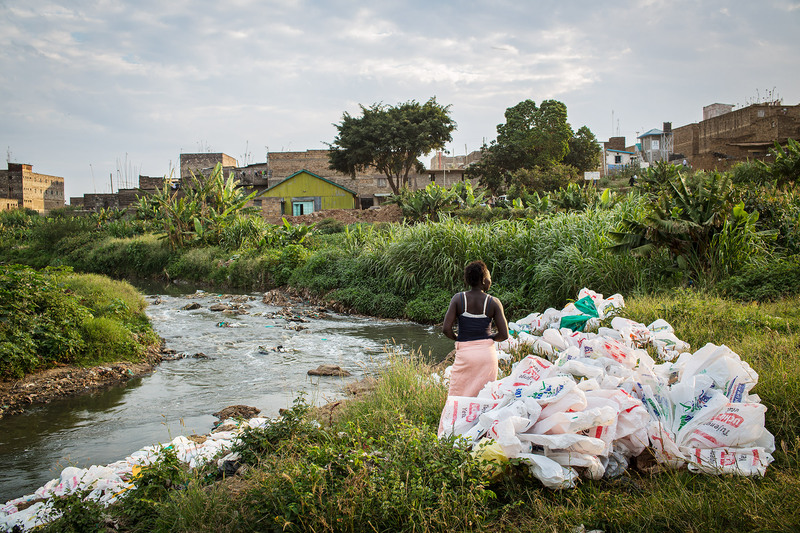 My photograph of a woman collecting and cleaning plastic bags from the Nairobi River received a Juror’s Award at the Environmental Photography Exhibition in Golden, Colorado. 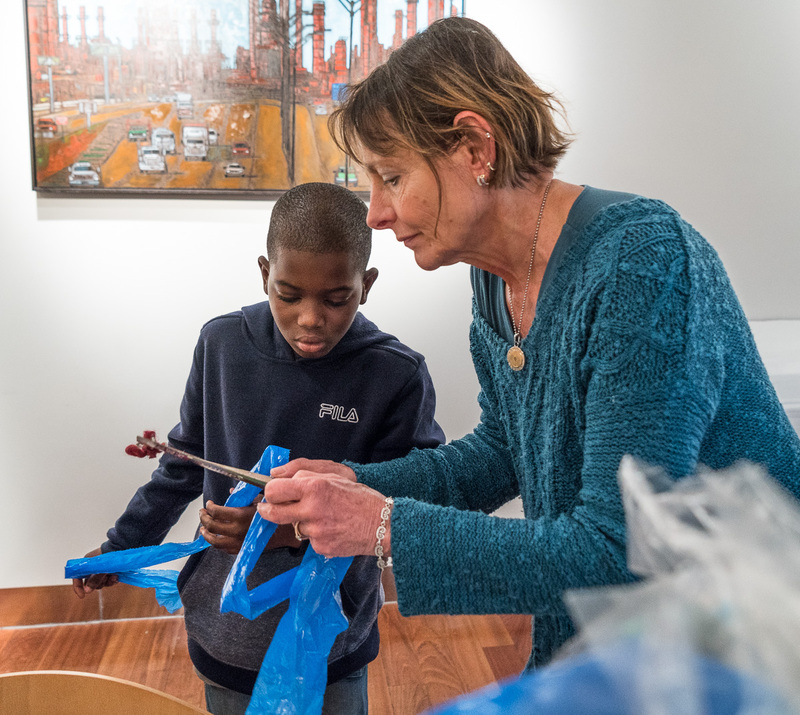 In early March I attended the Society for Photographic Education National Conference in New Orleans where I was proud to have three of my Witness Tree photos selected for an accompanying exhibit of SPE members’ work at the Ogden Museum of Southern Art. On March 26th, I gave a presentation entitled Photography and Climate Activism at the Balance-Unbalance Conference in Tempe, Arizona. It was an inspiring environmental conference attended primarily by artists, musicians, and scientists from around the world that are eager to work together using their creative talents to enact positive environmental change. 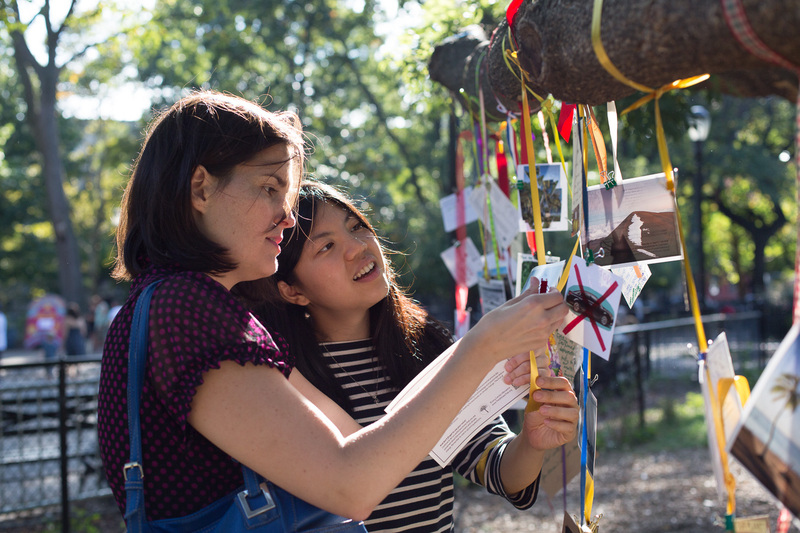 I created a Live Witness Tree event in Tompkins Square Park in New York City in September. This audience-engagement event was created in conjunction with the Human Impacts Institute’s Creative Call to Climate Action. 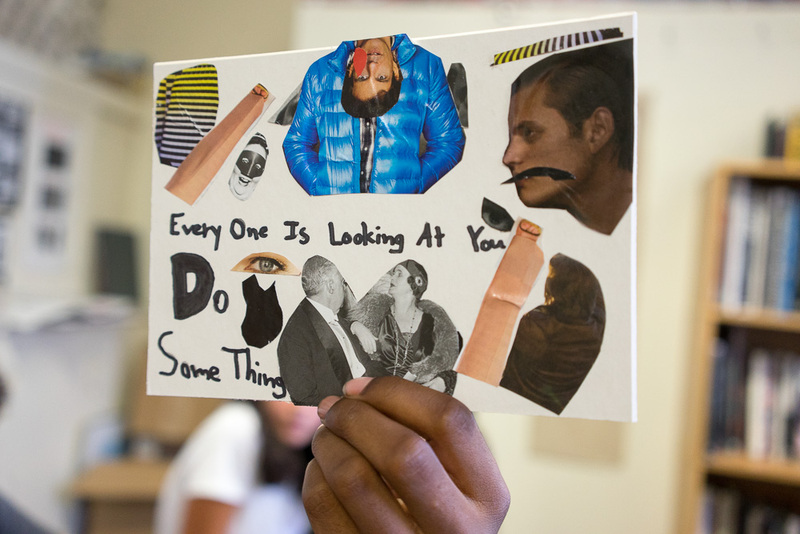 Participants created over 50 postcards that were sent to politicians to draw attention to environmental issues. In exchange, they were given a small photograph from The Witness Tree to take home as a reminder of our need to work together to fight global climate change and improve our local communities. If you would like to schedule a Witness Tree audience-engagement event at your school or in your community, email me via the Contact page. As part of the Climate Convergence Conference on September 20, I participated in an engaging panel discussion: Visual Realities of Climate Change: Food Realities and Landscape at the Museum of Reclaimed Urban Spaces, NYC. 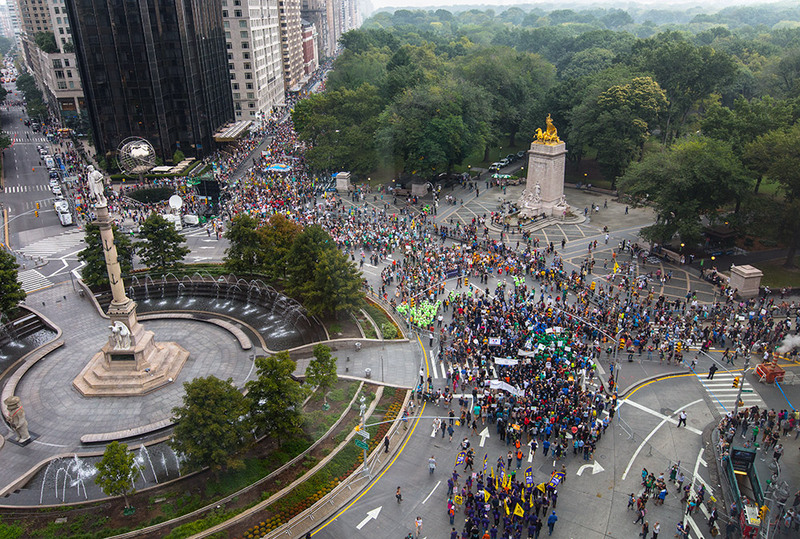 On September 21, along with 400,000 other concerned citizens, I walked the streets of NYC for the People’s Climate March. Needless to say, it was an empowering event. 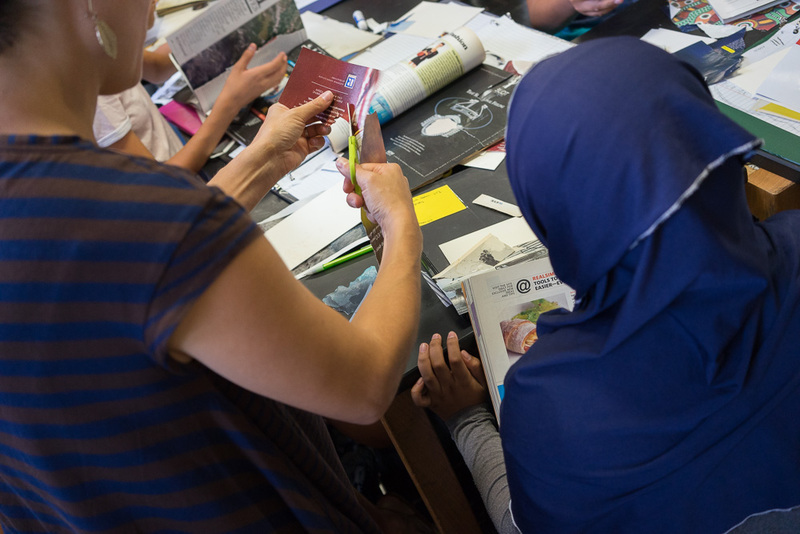 In August, for the CliMates symposium in NYC, I presented a workshop about Art and Activism with college students from around the world. In October 2014, I headed west to Nevada for the Center for Art + Environment Conference at the Nevada Museum of Art in Reno. 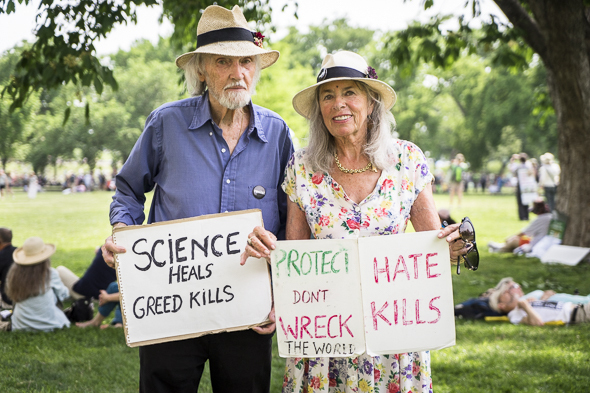 It was an amazing opportunity to meet other artists and activists as well as scientists and journalists all concerned with the state of our natural world. 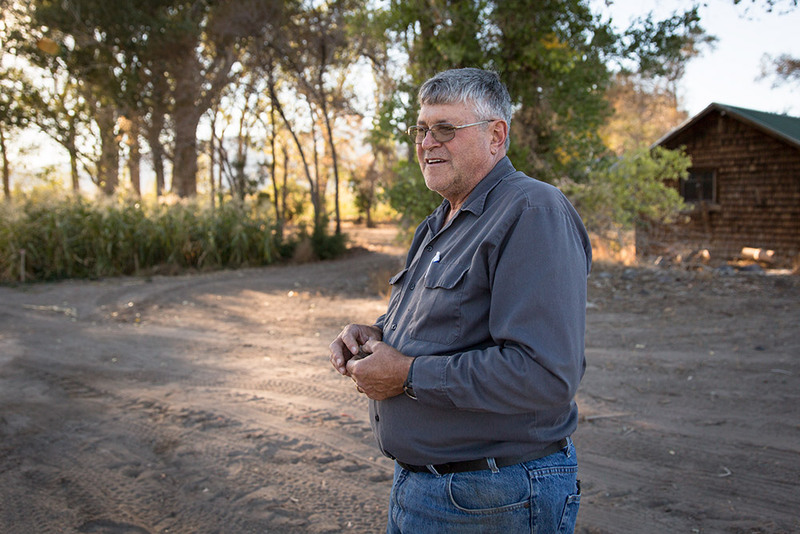 I used the opportunity to photograph the effects of climate change in this region, primarily the drought in Central California and Nevada too. Things looked bad. 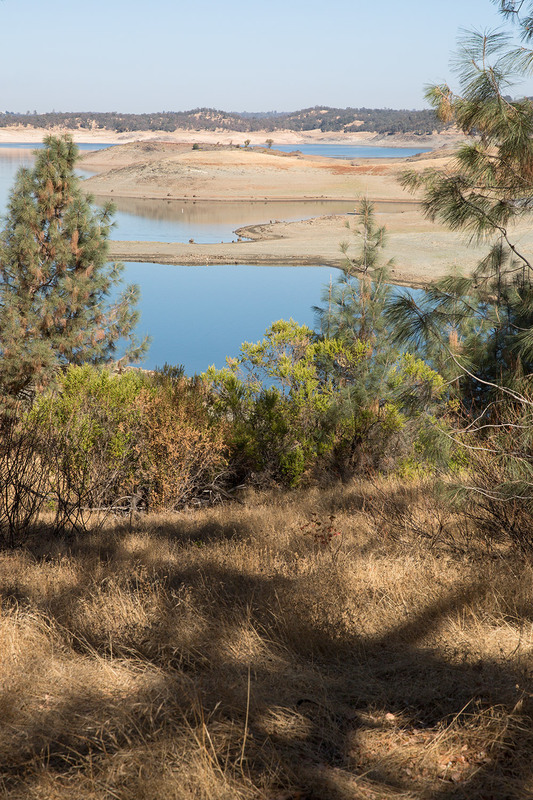 The riverbeds and reservoirs, like this one at Folsom Lake in California, were all but dried up. One farmer I spoke with, Tom Renner, was trying to keep up good spirits as he talked about planning for upcoming Halloween activities at his farm, but he was clearly disheartened by his alfalfa crop’s very low yield the past few years. 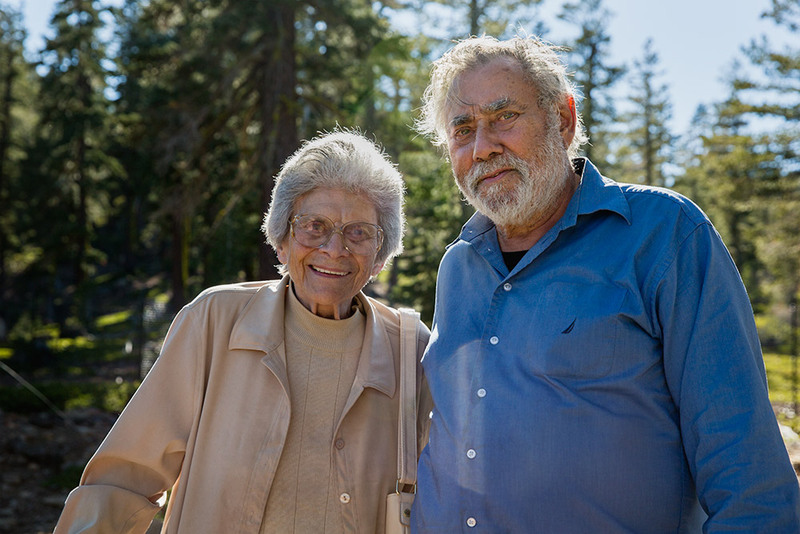 A bright spot on this trip was meeting Newton and Helen Harrison, long-time environmental artists and activists. I was able to visit their latest project Force Majeur at Sagehen Creek Research Station in the Sierra Nevada Mountains, just north of Truckee, California. Their team was planting saplings there to see how they will survive our changing climate. I look forward to a return visit there in a few years to see how the project and plants are progressing. Looking for the original Witness Tree Blog? Visit the archived blog here.